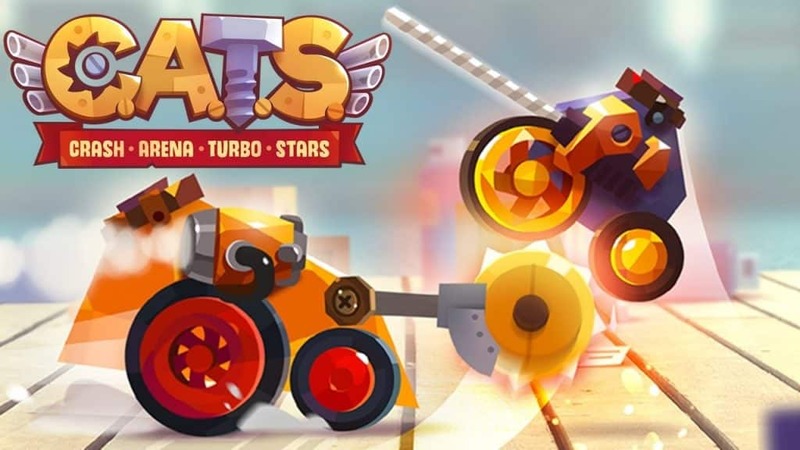 Be a master engineer by designing, crafting, upgrading and improving the ultimate battle robot in CATS: Crash Arena Turbo Stars. This fast and hilarious PVP action game from the makers of Cut the Rope and King of Thieves is officially available for Android 4.1+ and iOS v8.0+ only. But if you are a Windows 7/8/8.1/10/XP or MAC user, we are happy to inform you that you can play the game on your PC. In this article, we outline the step by step guide on how to install this popular game on your Windows/ Mac laptop or desktop and enjoy even a better experience on. This is the most ingenious and stylish battle bot constructor game you’ll ever play on your computer. It focuses on a world where cats rule everything. You take the role of a mean but ambitious street cat who’s dreaming of becoming the best engineer of battle cars worldwide. Tony, who’s your shady, yet charismatic uncle, enrolls you into the car battle Championship. You’ll then strive to get into the final and be the world champion. 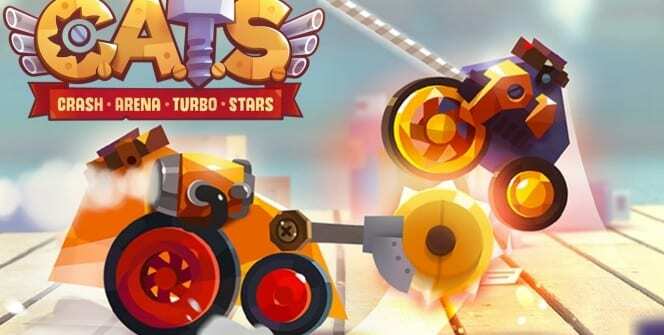 C.A.T.S for PC is an asynchronous multiplayer game that can only be played online. Your opponent doesn’t necessarily have to be online at the time of the battle, but the game keeps checking the state of their cars. The result of the battle can be affected by changes in your opponent’s car. You’ll be playing against machines designed by other real players. The car fights automatically, and the results are based on real-life physics. So the better you assembled it, the higher are your chances of winning a fight. When your machine wins a quick fight, you are rewarded with a supply box that contains parts for improving the car. Furthermore, you can get super parts with random bonuses that let you build synergies. You start from backyards, battle real players and fight your way up to the World Championship. To be the champion, you’ll have to beat all the 24 stages. Just dominate the leaderboard to move to the next stage of the World Championship. Your engineering knowledge will help you enhance the game as well as your winning chances. You’ll be using various gadgets and weapons (collected parts) to build an ultimate bot before you can face other players in an automatic PVP combat to unleash its power. Note that you can also bet on the strongest car and use the bonuses to boost your weapons. Gems are premium currency obtained by spending real money or during gameplay. It can be used to get the required amount of gold for fusing parts or speed up the timer on a box. To get gems, you can either open special boxes that appear during gameplay, complete signings or visit Play Store and buy it for real money. CATS: Crash Arena Turbo Stars for PC features dozens of gadgets, weapons, and body shapes to discover. These will help you outsmart your opponents with unique and amazing robot designs. It’s fun to compete against friends, especially if you always make your opponents bite dust. 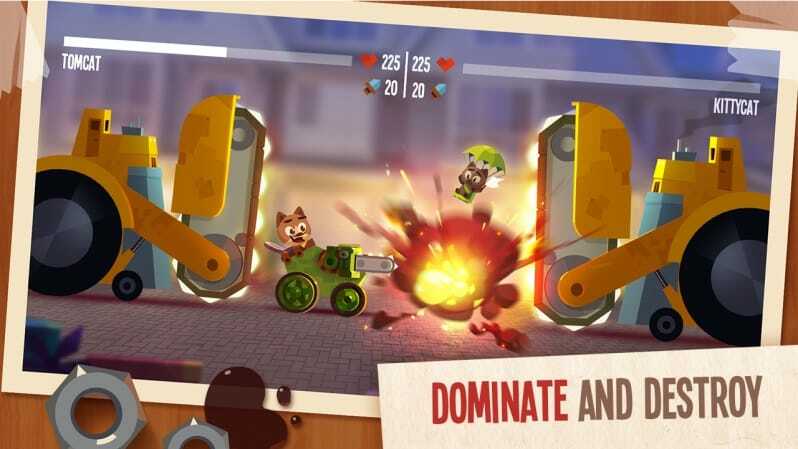 You can always be in touch with your friends who play C.A.T.S by simply connecting the game to Facebook. Download CATS: Crash Arena Turbo Stars for PC and increase your chances of becoming the world champion. Sometimes when playing CATS: Crash Arena Turbo Stars, bluestacks ask you fee to pay but gives you option to download some apps. Every time it asks you just select “Install apps” and continue using it free. I hope you enjoyed this article, please rate and share. If you have problems running CATS: Crash Arena Turbo Stars on desktop or any other issues, leave a comment below.